555 rounds Winchester® USA White Box .22LR 36 Grain HPCP Ammo, PRICED LOW! A bulk ammo steal on high-quality Winchester® Rounds for small game, plinking and target-shooting! Backed by generations of excellence, Winchester "USA White Box" has always stood for consistent performance and outstanding value. 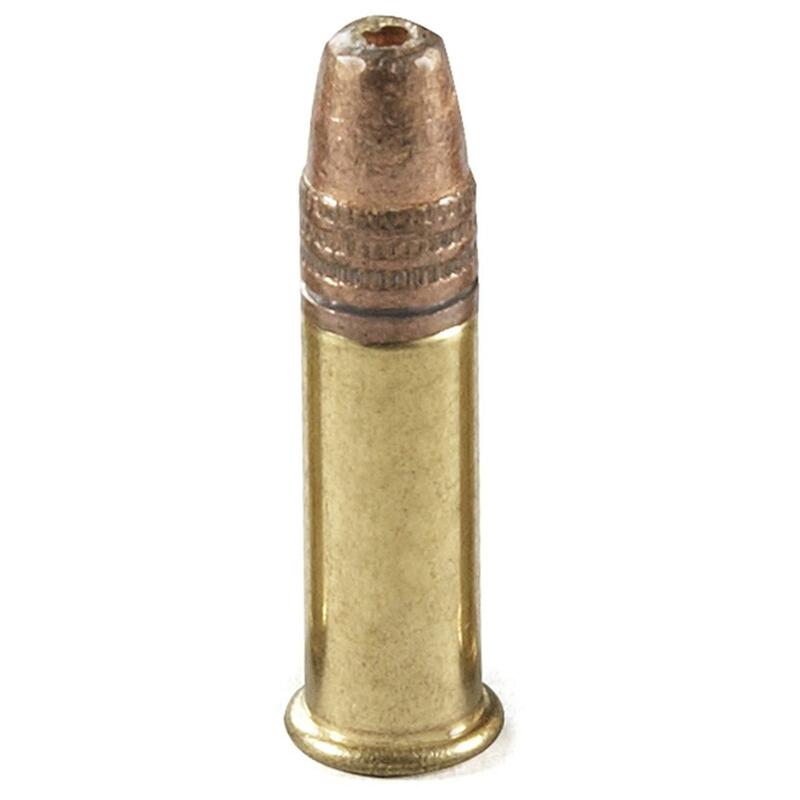 36 Grain HPCP (hollow point copper-plated) bullet for reduced fouling. Brass-cased, non-corrosive. Muzzle velocity: 1,280 f.p.s. Muzzle energy: 131 ft.-lbs. Made in the USA. 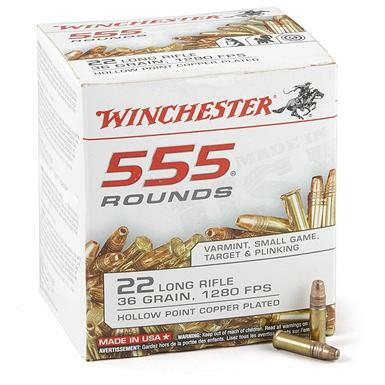 555 rounds Winchester USA White Box .22LR 36 Grain HPCP Ammo is rated 4.9 out of 5 by 7. Rated 5 out of 5 by Tom44 from Excellent Buy Haven't used any yet but I am sure I will be pleased as the namebehind the product can be counted on. Rated 5 out of 5 by charlie from Good ammo at a great price This is good ammo at a great price. I always use a lot of .22lr for target practice. Rated 5 out of 5 by JRod from Great deal Best price and good quality 22LR rounds. Have fired at least 200 rounds with no issues. Rated 5 out of 5 by Scott from Finally available! -Maybe A great product for semi-auto platforms. jacketed bullets operate smoothly, no lead build-up on the slides in the weapon. Wish there was a steady supply available. Rated 5 out of 5 by VINCENT from Very good accurate reliable ammo, 2nd best to CCI ammo. Championship quality for the serious target shooter.